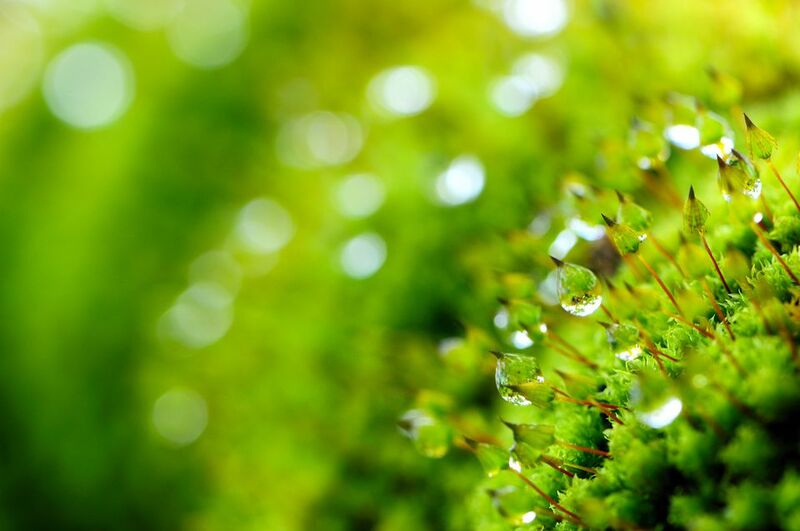 Moss can be a low-maintenance substitute for grass. Take these tips to heart if you're serious about low-maintenance landscaping. Since watering and mowing the lawn consume a large chunk of yard care time, the biggest step you can take towards minimizing your workload is reducing your watering needs and cutting back on the amount of grass you must mow. Become "water-wise" and introduce plants that serve as alternatives to grass. There are many labor-saving solutions for weeds, pests, and pesky pets, too. Those who have had to mow lawns all their lives are acutely aware of just how much work lawns are. But lawns can also be costly, as when you have to replace one that has succumbed to drought. Don't wait for drought to strike to reconsider the wisdom of having extensive, labor-intensive, thirsty lawns. Instead, take preemptive action by changing your landscape design. 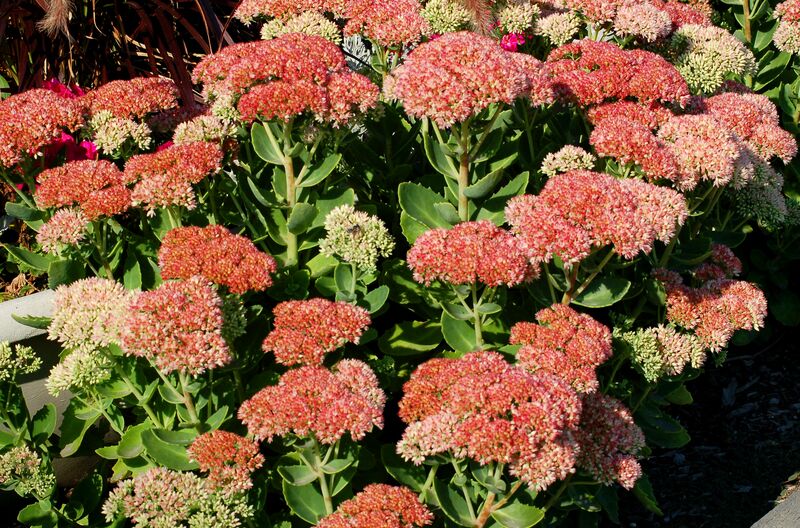 One water-wise alternative to lawns is xeriscaping, using plants such Sedum Autumn Joy. You've probably thought about having the convenience of an automatic irrigation system in your front yard. Perhaps you've been torn between doing it yourself or having a professional installation. This FAQ could help you make up your mind and begin enjoying this handy aid to low-maintenance landscaping. Clovers are also insect-resistant, compete well with weeds, and don't have to be mowed often, making these low-maintenance plants a superb substitute for grass. Rock gardens typically contain drought-tolerant plants that don't need much care. Moreover, the rocks, themselves offer a decor that never needs to be watered or tended to in any way whatsoever. Once you learn the basic principles behind building rock gardens and find out which plants work best in these environments, you can decide on the specimens that fit best into your design vision. Using ground covers is a smart landscape solution that can reduce watering needs and mowing time. But when deer pests come to snack on ground cover plants, you need to refine your strategy. Some ground covers are more effective in deer control than others. Discover plants deer tend not to eat, saving you the time, energy, and money required to replace eaten plants. And these deer-resistant ground covers have many other fine qualities that give you plenty of reason to grow them. Assuming you're not some kind of workaholic, sooner or later you'll come to recognize mulch as one of the unsung heroes of landscaping. It's highly portable, malleable and, for certain types of mulch, you can even make your own. If you have a problem area for which there seems to be no other solution, mulch is probably your answer, especially if you need a quick and easy solution. An application of mulch can reduce your watering needs significantly. Mulch also suppresses weeds, making yard care much easier. The perceptive will detect a subplot in this listing of low-maintenance approaches: water conservation and, more broadly, managing water. Plants that require a lot of water will be one of your biggest challenges if you are trying to reduce the amount of care your landscaping needs. The solution is not to try growing water-guzzlers in areas of the yard in full sun. Instead, opt for drought-tolerant shrubs, perennials, etc. Cotoneaster is showy and fights erosion. Erosion control is also a water issue, albeit from a different perspective. Here, it is not saving water that is the challenge but, rather, coping with the destructive potential of water on sloping land. Runoff coming down a hill can have devastating effects, not only on your landscaping, but even on your home. It spreads, making it capable of holding back a lot of soil. It gives you more height (3 feet tall) than creeping juniper. With its red berries and nice fall-foliage, it's prettier. This low-maintenance landscaping tip falls partly into the category of prevention: By being proactive and taking measures before erosion occurs, you can save yourself a lot of maintenance later. But planting a hillside with such ground covers also saves you the work of having to mow grass there, a job that can be both difficult and potentially hazardous. Mosses are fuss-free plants that can be used as alternatives to lawn grass in shady spots, where most types of grass refuse to grow. Considering how often moss grows in lawn areas problematic for grass, it readily suggests itself as just such an alternative. Growing moss represents the path of least resistance in these problem areas. Dogs can run your yard ragged. If your dogs are to be allowed to run about outside, you'll probably have to make adjustments to your landscaping. But the smartest adjustments you'll make are the ones that cause you the least labor in the long run. Among these are switching to a type of grass that holds up better under "paw traffic." You lead a full, busy life. Your yard should be a sanctuary where you recharge your batteries after a hard day at the office, not a timesink. But to achieve that goal, you have to make smart choices. Now that you know how you can reduce your landscape-maintenance responsibilities, you can have more time for yourself. With the resulting time savings, more time will be left over for using your yard as it is intended to be used: for your enjoyment.